JZ Drachenflug is a youth center and concert venue located in the town of Brunswick, Germany. This picture was sent in by MN. 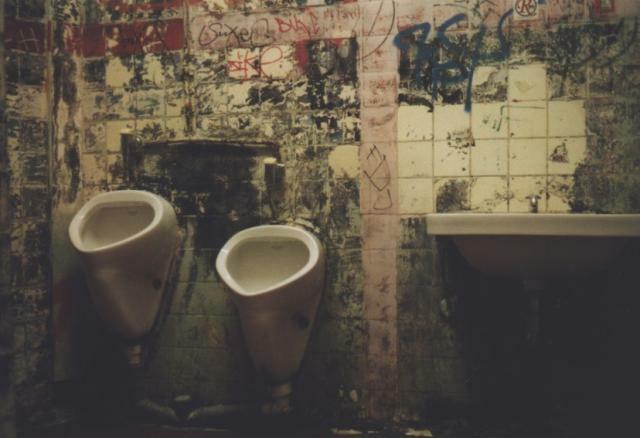 He writes: "Attached you can find a picture of 2 urinals I just had to take a photo of in a German youth center... Please notice the close location of the urinals to the sink".